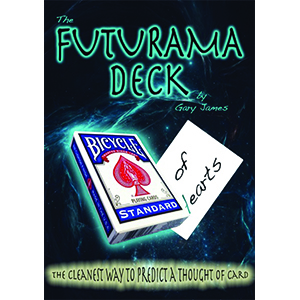 Gary James is a well-known and popular member of the magic community in Scotland. A full-time professional for over 18 years, his work covers the full spectrum, from entertaining families, to corporate clients, and has even taken him around the world, including performing at the F1 in Bahrain for the last two years. Gary has won numerous awards throughout his career, and his own personal highlights include being awarded the ‘Murray Wand for Showmanship’ from the Scottish Association of Magic Societies, and the Award for Originality, which was presented to him by one of his idols, Doc Eason. Gary has also been awarded the Close-Up Magician of the Year at the Edinburgh Magic Circle on two Occasions. In August 2013, Gary was inducted into the Magic Circle in London as an A.M.I.M.C. (Associate Member Of the Inner Magic Circle – with Silver Star). 5 years ago, he created the company ‘Pro Show Magic’. He has produced a number of effects over the years for some of the worlds top entertainers, and has recently designed and created a unique range of props which are new to the market this year. His Pro-Show Lecture has been well received by numerous magical organisations, and is a mixture of ideas for the presentation of new effects, as well as a few twists on some classic effects. Gary will also be discussing and demonstrating some of his new products. The lecture covers a wide range of magic, from close-up to stand-up, whilst also including something for Family Entertainers, ensuring that there is something that everyone can take away from the experience. Gary looks forward to meeting the club members and guests, and will be offering great discounts on his wide range of products.